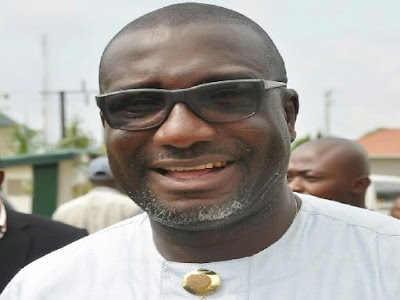 Chairman, Rivers State Chapter of the Peoples Democratic Party, PDP, Felix Obuah has commended the good people of Enugu State for their support and massive voting for the PDP, leading to the victory of all PDP Local Government Chairmen and Councillors in the 17 Local Government Areas in last Saturday’s Local Government Election in the State. Obuah, who made this commendation today, Monday, in Enugu, the State Capital, during his visit to the Enugu State Secretariat of of the Peoples Democratic Party, PDP, applauded the gallant efforts of the leadership of the party in the State, particularly its grassroot presence which has earned the remarkable victory as well as goodwill and acceptance demonstrated by the good people of Enugu State in the successful Local Government Election. The Rivers PDP Chairman, who was represented by his Special Adviser on Media and Publicity, Pastor Jerry Needam, said the results of the poll from the 17 Local Government areas of the State, in which the Peoples Democratic Party, PDP, won all the Chairmanship seats and Councillorship positions, reaffirmed the confidence and trust the people have in the party as well as demonstrated that they are firm and resolute in ensuring that the PDP wins all subsequent elections in the State and at the federal level. “I thank you for leading our great Party, the PDP, well in Enugu State. I also thank the good people of Enugu for their show of love and firm belief in the ideals and lofty programmes of our party by voting massively for all the PDP candidates during the free and fair Local Government election in the State. I urge you to continue in that spirit, to spur the Governor Lawrence Ifeanyi Ugwuanyi, to do more in the development of the State,” Obuah said. He used the opportunity to call on other States in the South-East, particularly the people of Anambra and Imo States to emulate the good example of the people of Enugu State by remaining committed and ensuring that the PDP takes over governance in their States. Obuah expressed optimism that more development projects would be taken to the various Local Government Areas in Enugu State as they have shown their unalloyed support for the PDP, adding that all they need to do is to keep fate with the leadership of the party in the State and at the Local Government Areas. He observed that the All Progressives Congress, APC, government has failed Nigerians and that rather than bring development and happiness to the people, the APC has been source of woes and anguish, not being able to address the needs of Nigerians, as hardship continues to grow since the inception of the Buhari-APC administration. Obuah said the people of Rivers State are proud of the Enugu people for making right choices in the voting exercise, assuring that similar feat would be replicated in Rivers State during the forthcoming elections in the State. He said as the people of Anambra State prepare to vote in their Governorship election in the coming days, it is important the people remind themselves of the many failures of the APC in giving purposeful leadership to Nigerians, saying one sure way of having security, economic development and growth in all sectors, including health, education as well as religious harmony, is to enthrone the PDP government in all the Local Government Areas, States and at the federal level. Obuah also congratulated the just elected Enugu Local Government Chairmen and Councillors for their resounding victories and charged them to remain focused and to support the leadership of the PDP at all levels.